The Tagus Sardine has the best view of Lisbon. From the river she sees the people, the roofs and the Castle; she sees the bridge and the boats, and the departures and returns that make the city live. 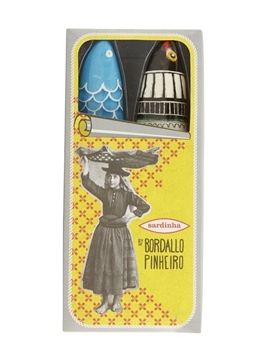 She is a lucky Sardine – and, as Amália used to say, She has water, she knows how to swim / I wish I were a sardine. Inspired by the numerous existing lighthouses along the Portuguese coast, this Sardine refers to the idea of travelling to a distant world, whether real or imaginary, as well as the eternal return home after its discovery.